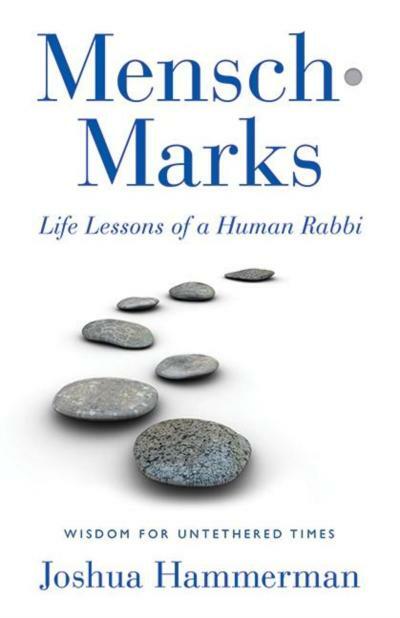 Author of the upcoming book, Mensch•Marks: Life lessons of a Human Rabbi - Wisdom for Untethered Times. Winner of the Rockower Award, the highest honor in Jewish journalism and 2018 Religion News Association Award for Excellence in Commentary. Random musings of a rabbi, journalist, father, husband, poodle-owner, Red Sox fan and self-proclaimed mensch, taken from essays, columns, sermons and thin air. Writes regularly in the New York Jewish Week and Times of Israel. Everyone who knows me knows that I enjoy Pokemon. Looking back at it, my interest in Pokemon began nearly seven years ago, when I was about six years old. I walked into the living room and turned on the TV, and it was the start of a Pokemon marathon. I was fascinated by the colors, shapes, and explosions. So that’s how I became hooked for life! Years later, I still watch the show, play the game, and collect Pokemon cards. So, I’m sure you’re wondering what all this has to do with my bar mitzvah. Well, it turns out that my Torah portion contains rules that are similar to the rules of Pokemon. My portion contains 74 mitzvot (commandments), more than any other portion in the Torah. In my portion, these mitzvot are about relationships between people, G-d, and animals. For example, there’s a law that you shouldn’t force an ox and a donkey to work together, because the ox is stronger. Also, you shouldn’t muzzle your ox while you’re threshing grain to keep it from eating it. You should also help a donkey, even if it’s your enemy’s donkey, especially even if it has fallen. You should also shoo away the mother bird before taking her eggs. Many of the things that you learn from Pokemon teach you skills that you gain when you care for pets or animals. In fact, Pokemon are just like pets. Some Pokemon need protection from other more dangerous ones. For example, Jigglypuff – one of the cutest Pokemon, can be dangerous at times. When they start singing, run for the hills or grab earmuffs; because their singing causes people to fall asleep and then they’ll draw on your face. But Jigglypuff also needs to be defended from Pokemon like Snorlax, who can absentmindedly sit on it. So you see that this not all fun and games, and it can take as much effort to care for a Pokemon as it does to care for a pet. We also feed Pokemon, just like you would feed a pet. In fact, most people don’t realize that the Talmud states that you should feed your pets before you feed yourself. The Jewish concept of kindness to animals is called Tzaar Baalay Chayim – know as feeling their pain is important because in a challenge called a Nuzlocke, there are times when Pokemon get hurt. In this challenge once a Pokémon faints, it it must be released. In a real way, we feel the pain of the injured Pokemon. And in some of the videos that I’ve seen on Youtube, the youtuber started crying when his Pokemon died. My mitzvah project is related to Tza’ar Ba’alay Chayim because I’m giving tzedakkah to the Wildlife Conservation Society, which includes facilities like the Bronx Zoo. We have been members of this society for many years. I will also be volunteering at the Stamford Nature Center throughout these next few years. As I become a bar mitzvah today, I hope that my love of Torah, along with my significant enjoyment of Pokemon, will help me to follow the right path toward being a responsible member of the Jewish community. click on "About Me" above for my full bio. CAJE 33 "Is the Internet Good for the Jews?"